Iran in Assen… An “intentional” exhibition? Warning: Enter the room with a big flock of people! Otherwise, you won’t get it! Sure, you may like your exhibitions a little bit quieter. But, in this case, silence will just ruin the experience. This exhibition will be all the more engaging if the room is alive, crowded, populated by multiple noises and buzzing with a ton of tongues. What you need to understand, once you suspend your disbelief for a while, is that this is not an exhibition at all! This is a bazaar! Granted, it is not exactly the Grand Bazaar of Tehran. 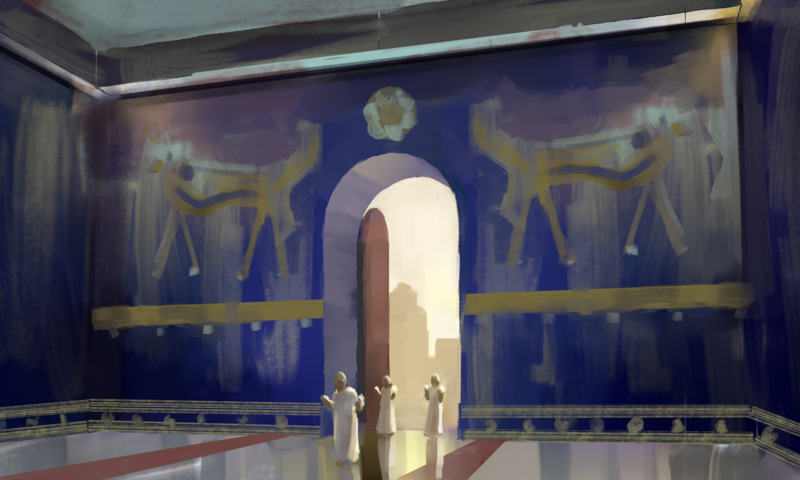 Yet, the Drents Museum team managed to convey the basic impression of a Middle Eastern marketplace. The exhibition cases are upholstered with textiles mimicking Persian tapestries, the arches are decorated with colourful stained glass, and lacelike lamps hang above the small galleries. A few Persian style puffs and a large photograph of a modern-day bazaar tie up the illusion. 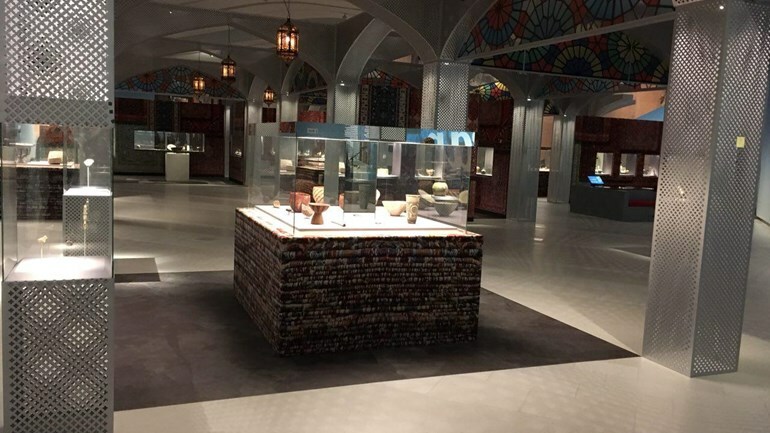 In the galleries of this fantastic place you can see Iran: cradle of civilization (Iran: Bakermat van de beschaving), an archaeological exhibition which is organized by the Drents Museum at Assen and hosts a collection of artefacts stemming from several Iranian archaeological sites. These objects, owned by the National Museum of Tehran, are exhibited outside of Iran for the first time. Until November 18th, you are invited to walk-in and peruse at your pleasure six different shops, each illustrating a specific Historical period: The Beginning; Cities; Changes; Elam and Media; Golden Age; Iran and Islam. At these stands, you will be able to discover archaeological artefacts documenting almost each and every period of the history of human settlement in the Iranian region. From a Stone Age hand axe found at the Darband cave bordering the Caspian Sea (300.000 B.P.) to porcelain carafes and dishes offered by Sheik Safi to Sha Abbas I (17th century A.D.), and in between objects of various types from different archaeological sites, such as Chohga Zambil, Tall-i-Malyan, Deylaman, Hanadan, Pasargadae, Ardabil, and Susa. In spite of this extensive and diverse coverage, a special place is reserved for the so-called Golden Age. Identified as the Golden Age par excellence, the Old Persian or Achaemenid Empire receives great emphasis throughout the exhibition. A few elements create this emphasis. First, as soon as you enter on the right, a large map displays the maximum reach of the Achaemenid conquests; second, a huge photograph of the Persepolis’ Apadana stairway reliefs practically envelops two walls of the room; third, Darius I Bisotun inscription is presented on a large-scale 3D reproduction (it is only a pity that unlike the relief showing Darius I subduing rebels from many nations, the trilingual inscription is no more than a blurry photograph); fourth, a copy of the Egyptian statue of Darius I is exhibited with special attention been given to its hieroglyphic inscription listing the names of 24 lands under the Great King’s rule. Such emphasis is in a way understandable. The Achaemenid Empire was not only the most extensive but also the only uncontested superpower of its time (c. 550-330 BCE). However, to highlight a political entity that lasted little more than two centuries out of a long history requires some other explanation. That reason, I believe, is interwoven with the message the exhibition wishes to convey. Diversity and tolerance are the keywords of the exhibition. A note of multiculturality runs through every feature of the exposition. Multiculturality is to be found in the bazaar theme and on the range of objects that document the diverse cultural make-up of modern Iran. The same message explains the emphasis on the first Persian Empire. The artefacts on display that stem from this period fit perfectly with the message of multiculturality. And rather unsurprisingly so, as the imperial power that produced these objects was also keen on presenting the Empire as a collaboration between different cultures dully represented on procession on the steps of the Apadana, kneeling reverently at the feet of Darius I, and humbled under fetters at Bisotun. The organizers brought the message of diversity and tolerance to our own time. On two small screens, you can watch interviews with modern Iranians, who are currently based in the Netherlands, and hear their insights on their history and cultural heritage. Definitely, this exposition has a point to make. The exhibition was carefully planned so as to communicate the intended message of tolerance to its visitors, and perhaps also to its partners. While factual history was not disregarded, some periods and events were brought to the foreground. Is this a deliberate attempt to shape the memory of Iran’s history in the eyes of a Dtch audience? Or, since the objects on display required diplomatic immunity to be issued by the Dutch Ministry of Foreign Affairs, is the exhibition making a point on international relations? 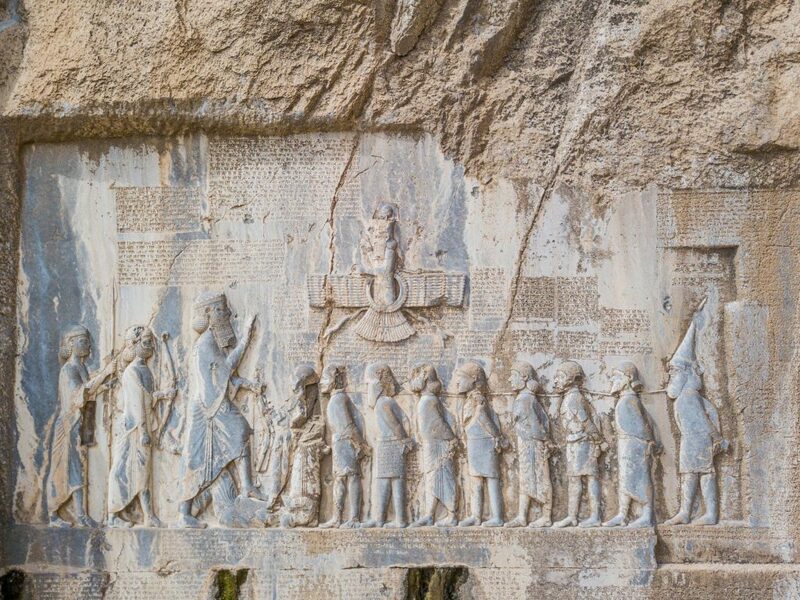 In any case, a story about history is being told here, and, to some degree, Iran: cradle of civilisation (Iran: Bakermat van de beschaving) engages in an exercise of “intentional history”. Until November 18th you can still catch a glimpse of this buzzing bazaar and hear the story for yourself. In case you wish to find out more, Ex Oriente Lux organizes an event at the Drents Museum on September 22nd with three lectures concerning the Achaemenid and the Sassanid Persian Empires and on the exhibition itself. 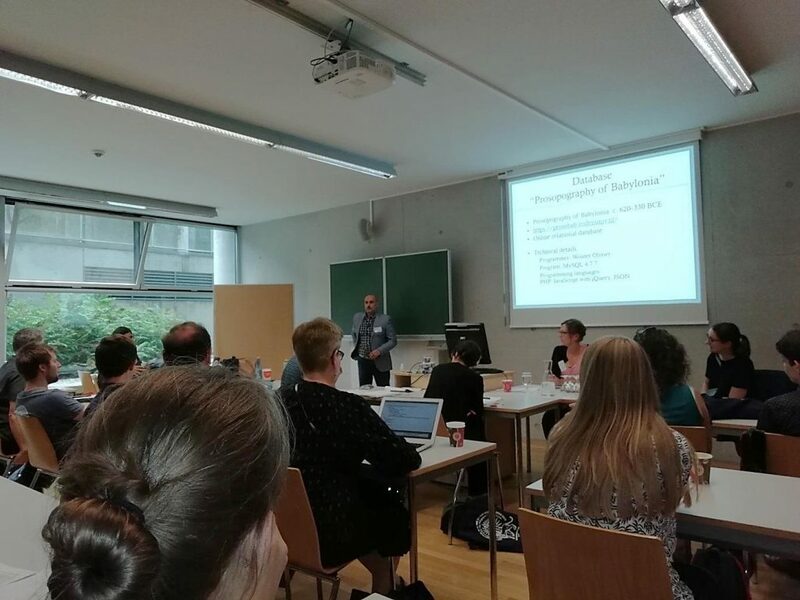 From 16-20 July, leading and upcoming scholars in Ancient Near Eastern Studies gathered at the Leopold-Franzens University in Innsbruck (Austria) for the 64th edition of the Rencontre Assyriologique Internationale (RAI). 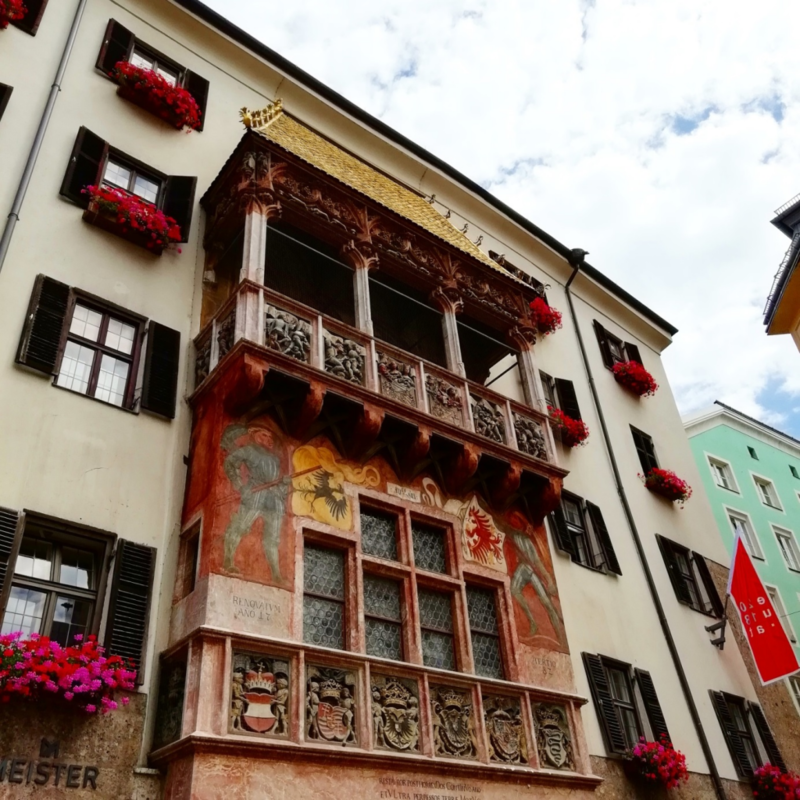 During one week the beautiful city of Innsbruck was the scientific hub where old and new friends met, swords were drawn as discussions heated up and were parried with good arguments and a nightcap or two in the local pubs. 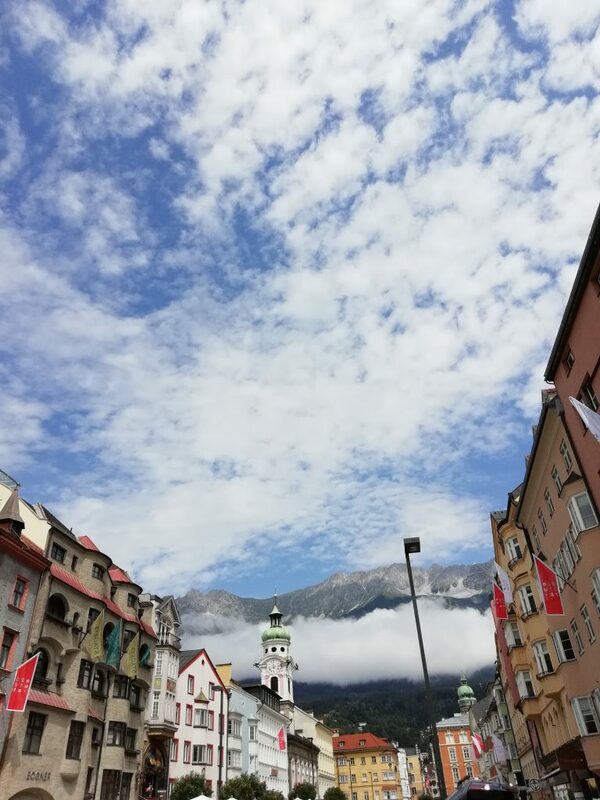 Maria-Theresien Straße (Innsbruck, Austria) with pubs, restaurants, shops and a magnificent view of the Nordkette mountains. The RAI is an annual, international conference on Ancient Near Eastern Archaeology, Philology, History and Art History. Each year a different institute somewhere in the world takes on its organization. This year’s host was the Leopold-Franzens University in Innsbruck. Almost celebrating its 350th anniversary, the University, founded in 1669, holds an outstanding tradition in the Ancient Near Eastern Studies. Figures like Professor Thomas Friedrich (1855 – 1927) or his successor Carl Friedrich Lehmann-Haupt (1861–1938) were pivotal for initiating these studies at Innsbruck. 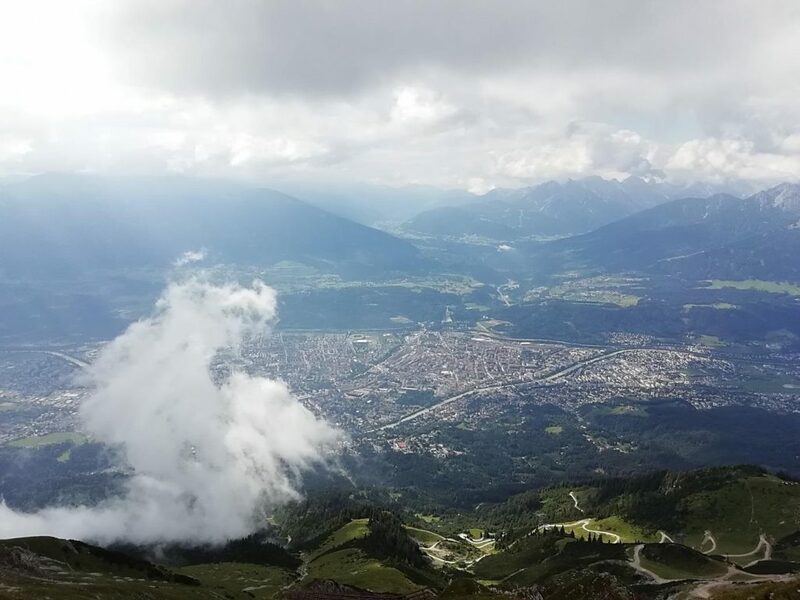 View of Innsbruck between Seegrube (1.905 m – 6.250 ft.) and Hafelekar (2256 m. – 7400 ft.) (Nordkette, Innsbruck, Austria). This year’s RAI also hosted the 12th Melammu-Symposium which resulted in a diverse program of 20 parallel sessions and 17 workshops taking place over 5 days. The joint theme this year was “The Intellectual Heritage of the Ancient Near East’’. It refers to an aim of the Melammu-project to investigate the cross-cultural influences of Mesopotamian cultures and societies from the second millennium B.C.E to the Islamic period. There were sessions and workshops on Anatolia and its Culture, Kassite administration, Sumer and Elam, Urartu, Babylonia and Assyria. New ideas put forward by upcoming academics were interchanged with thoughts and opinions of established researchers. This provided fireworks in a workshop like (Mis)use of Sources: Ancient and Modern. An objective of the RAI and the annual Melammu-symposia is to enhance the dialogue between assyriologists and archaeologists. This is something close to my heart, as I enjoyed both an archaeological and assyriological training albeit separate from each other. Working together and not apart generates the best results. Workshops and sessions on studies that combine the archaeological data as well as the text corpora were among other Archaeological and Textual Perspective on Ritual and Religion and Current Archaeological Research and Epigraphic Research in Iraq. Next to gaining insight into the lives of some elusive predecessors like A.H. Layard, the session Towards a History of Assyriology emphasized the evolution the field has known. 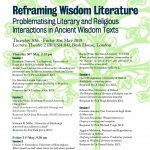 From being a more inward looking discipline with a focus on making and publishing copies, to serving the interest of biblical studies, the field has evolved to fully engage with other fields of research such as the computer sciences, sociology and anthropology. It is clear that so much more is yet to be done. 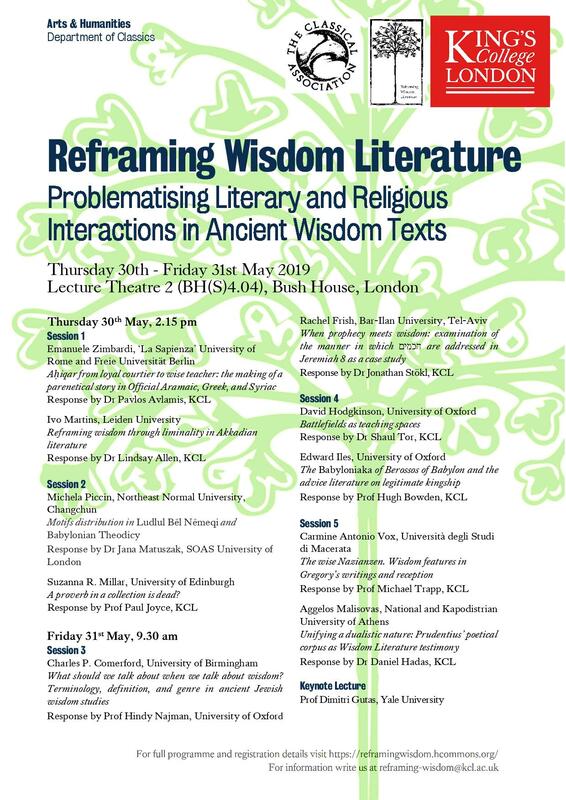 Throughout the week’s lectures the usefulness of for instance Social Network Analysis in Ancient Near Eastern Studies has once again been put forward. During the workshop Methodological Developments in Prosopographical Studies Prof. dr. Waerzeggers and dr. Groß presented the online relational database Prosopography of Babylonia. 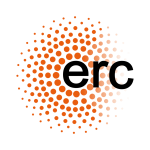 This research tool for experts and non-experts is being developed under the auspices of the ERC project Persia and Babylonia (ERC CoG-project ID 682241). The sources are the thousands of cuneiform clay tablets belonging to private archives dating between 620 and 330 BCE. People’s names, roles, professions and relations mentioned in these tablets are being systematically collected and inserted in the database. From the thousands of attestations found in these tablets, unique individuals are being identified. They will be presented via itemized biographies. With multiple flexible queries it will be possible to search for tablet information, objects mentioned in the texts, attestations, spellings and itemized biographies. We don’t have to wait too long! The first batch will be made available as soon as early 2019. Presentation of Prosopography of Babylonia, followed by Q&A. Recent years has seen a peak in digital initiatives for Assyriology (e.g. NaBuCCo, PROSOBAB, Oracc, MTAAC, PNA database, LaBaSi, NATC, Achemenet). They make the exceptional data recorded in the cuneiform tablets easy accessible to a broad audience and for a wide range of research purposes. Thousands of cuneiform clay tablets are namely scattered across different museums and research centers or stuck in different stages of publication. Several of these digital initiatives were presented during this and the previous RAI’s. The discussions following these lectures and workshops highlighted some growing pains that need to be addressed in the near future. This to ensure that future research can build on previous research, instead of redoing the numerous hours spent in collecting the data, and to ensure that these groundbreaking initiatives are long-lived. Questions to be answered are: How long after a project is finished are these digital initiatives accessible for the public and kept up-to-date? How to adapt to future ICT developments? How to connect these digital initiatives together? Another point raised was the correct citation of these digital initiatives and the protection of the intellectual ownership rights of individual scholars whose publications are being used. This last and interesting question of intellectual ownership rights was also raised at the end of Wednesday’s IAA Plenary Session. As you see, enough exciting thoughts to work with and tackle in our everyday work and at the next RAIs! The Rencontre Assyriologique Internationale (RAI) is supported by the International Association for Assyriology (IAA). This is a non-political and non-profit organization that on an international level aims among other to advance the research on the Ancient Near East and to stimulate debates on difficulties encountered in this field of research. The question of the proper professional, ethical conduct when faced with cuneiform tablets derived from illegal digs, and when working in countries that are torn by war, or that violate the human rights, is merely one of the points on the agenda. Discussed at several previous RAI’s, including last year’s 63rd RAI in Marburg, a written guide for ethical practice was presented and accepted by a majority of votes at this year’s IAA Plenary Session on Wednesday. Note that it is a guide with recommendations which each IAA member or non-member, student and scholar alike can choose to apply according to his or her conscience. This meeting was presided one last time by Prof. dr. Cécile Michel, who stepped down as president of the IAA. I speak for all, as we thank her for her unwavering efforts as president and welcome the newly elected president Prof. dr. Walther Sallaberger. During lunch or in the evening there was time to enjoy some of the beautiful sites of Innsbruck. The city is surrounded by the impressive mountains of the Nordkette and the Patscherkofel. A Cable Car can take you up to the Hafelekar in less than 30 minutes from where you can walk to the top. 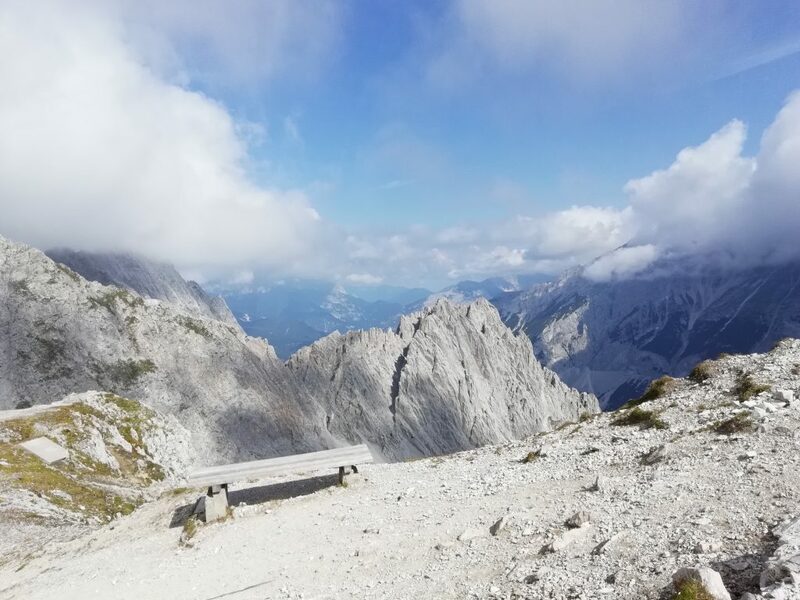 There you have a spectacular view of the Tyrolean Alps and the city of Innsbruck. In the Old Town of Innsbruck a visit to the Neuhof with its famous Golden Dachl is a delight. This roof of 2657 fire-gilded copper tiles above an alcove balcony was added for the wedding of the Emperor Maximilian I with Bianca Maria Sforza. Some of the other splendors to visit are the Hofkirche containing the grave of Emperor Maximilian I (1459-1519) surrounded by 28 bronze statues, the Hofburg restored by Empress Maria Theresa (1717-1780) and refurbished for Empress Elisabeth (Sisi) and Schloss Ambras. The organizers of this year’s RAI were so kind to arrange a delicious Tyrolean Buffet on Thursday evening and a thrilling Near Eastern Pub quiz on Tuesday evening. You guessed it! Let’s get that calendar out, because next year we are going to Paris! The 65th anniversary edition of the Rencontre Assyriologique Internationale will convene from 8-12 July. Keeping in mind the grandeur of Paris with its rich history, cathedrals, palaces, and historical monarchs, next year’s theme “Gods, Kings and Capitals in the Ancient Near East” is well chosen!